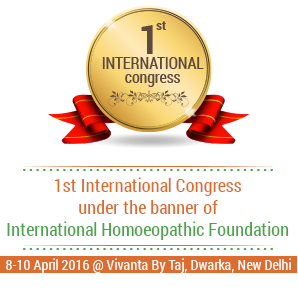 The First International Homoeopathic Congress (IHC) is being organised from 08-10 April 2016 at New Delhi (Vivanta by Taj,Dwaraka,NewDelhi). It is the first such international meeting to be held under the aegis of the society – the International Homoeopathy Foundation. The Foundation was set up to further the cause of homoeopathy across the world and also find synergies with other medical sciences to offer better patient care, higher levels of diagnostic understanding and of course exchange of ideas and best practices. 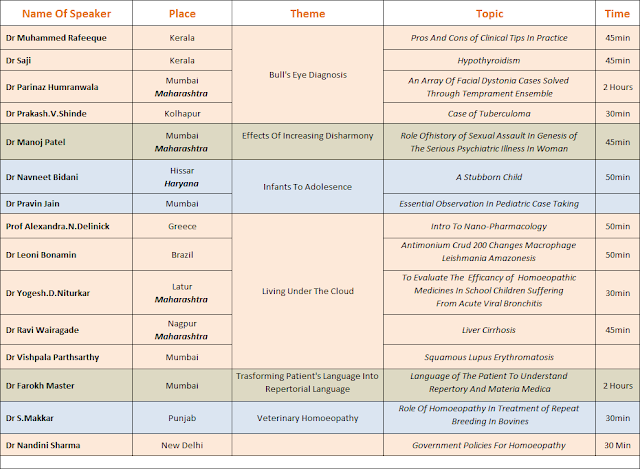 The theme of this first Congress is simple ‘Expanding the Horizons of Homoeopathy’ and through this hope to achieve the aim of making homoeopath a household name internationally. The International Homoeopathic Congress, New Delhi, 2016 is a platform where you will find that we have a fabulous amalgamation of scientific sessions ranging from diagnostics to disharmony, medication to robotic surgery. The event is been blessed to have a pool of doctors who are leaders in their field and to share their knowledge and experience. Importantly the conference will be powered by technology and enhanced with humour. Dr. Amita Arora is Org Secty IHC 2016.along with Dr. Shashi M Sharma as the Organising Chairman. Dr. R N Wahi is the Founder Director IHF.